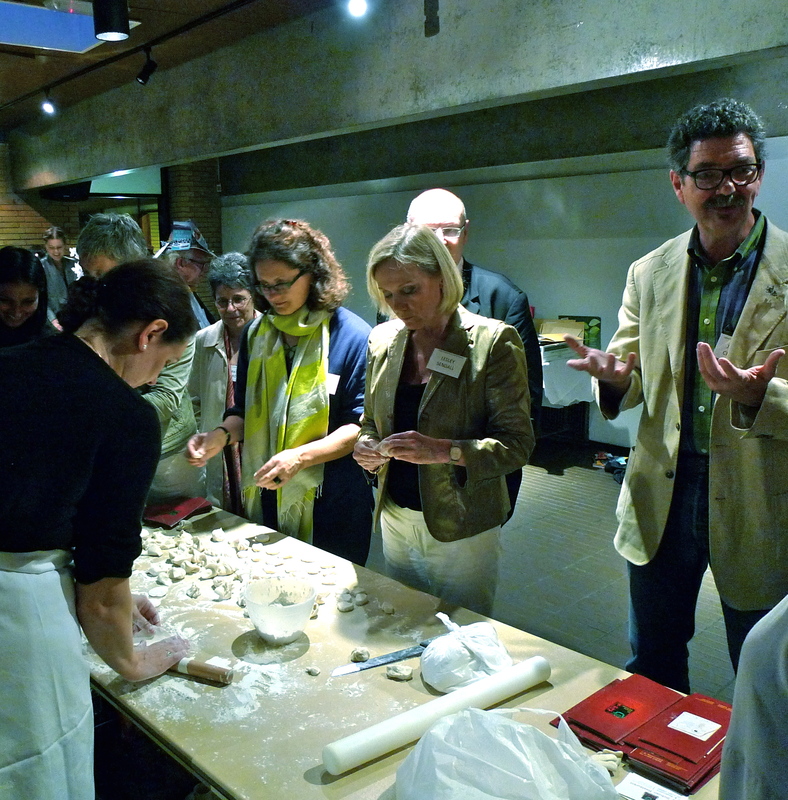 The theme of this year’s Oxford Food Symposium was ‘Stuffed and Wrapped’ – so we spent the whole weekend discussing dumplings, pasties, stuffed vegetables and the like. 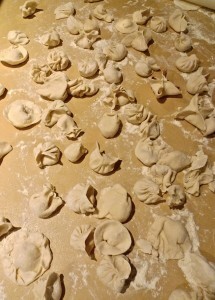 We ate stuffed and wrapped foods, like langoustines in filo pastry, saddle of lamb encroute, summer pudding, stuffed vegetables from Gaziantep in Eastern Turkey, baklavas and German sausages, And after dinner on Saturday night, I led a small Chinese dumpling-making session in the bar, teaching people how to pleat jiaozi and baozi, gather up shao mai and make various other pastry shapes. Here is a picture of some of our efforts! 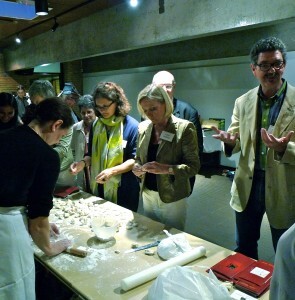 It’s so great to hear that you’re involving people in one of the most fun things to make… delicious Chinese dumplings! 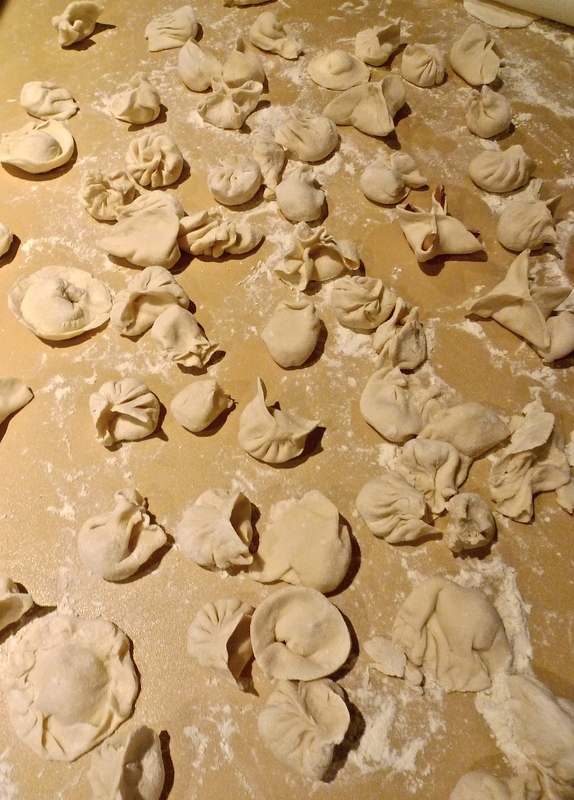 This week, I’ve given your Pork and Pumpkin Dumpling recipe a try (except I had zucchini on hand) and we steamed some for breakfast this morning. My family was quite impressed with the results and we all enjoyed the soft glutinous skins & the beautiful pork filling.